California weather has been perfect this week. We’ve been blessed with high 70 degree weather and plenty of sunshine..perfect start to the first week of daylight savings time change. This weather got me super excited for all the planned and/or impromptu BBQ sessions I’ll be having in the upcoming months with my family and friends. There are so many things I want to BBQ! It also reminded me of a beach trip last summer with a few friends and their kids. 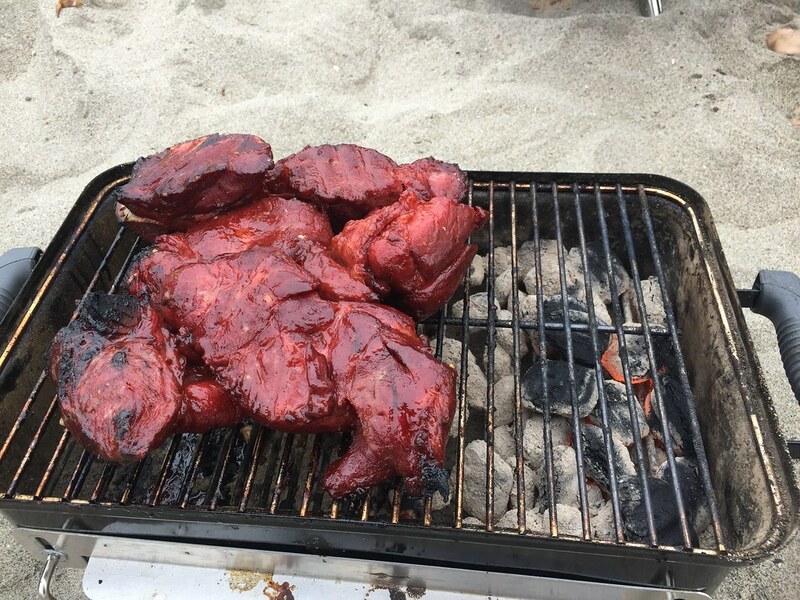 I took my Weber Go-Anywhere Grill with me to the beach and BBQ’ed some sweet and succulent Chinese BBQ Pork and assembled Vietnamese Sandwiches to share with my friends. 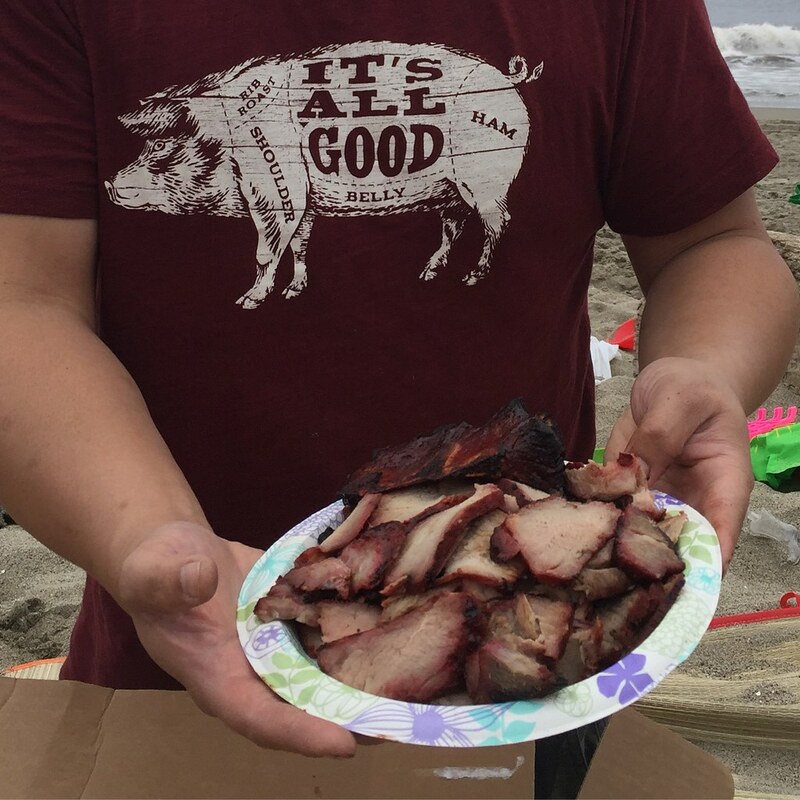 I marinated the pork at home the night before and stored in ziplock bags, so when I got to the beach, I just lit up a small charcoal chimney full of charcoal and barbecued the pork over indirect heat while I watched the kids play in the sand and run around in the water. 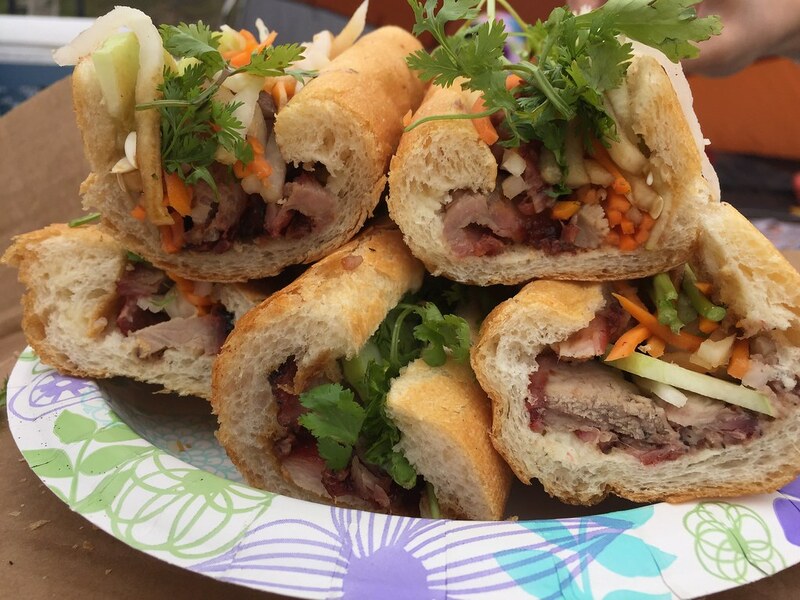 The BBQ pork was super flavorful and received positive feedback from both adults and kids. 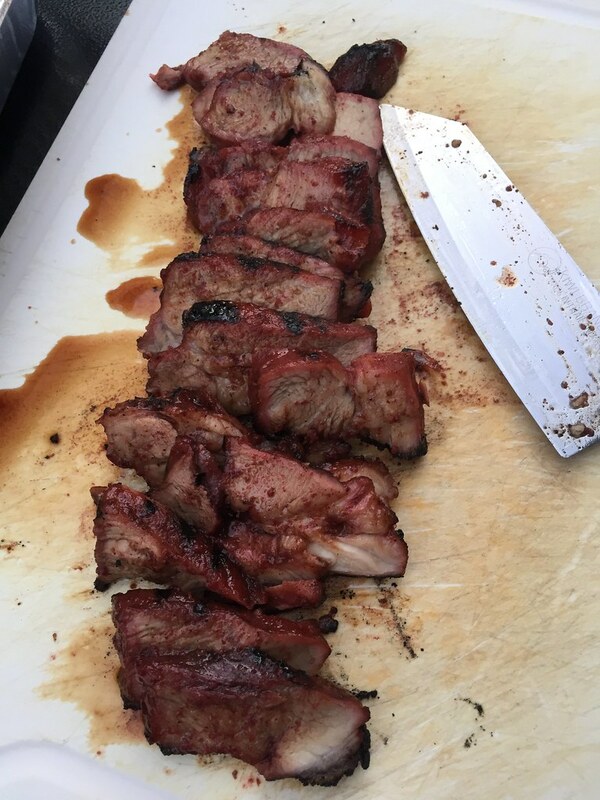 Marinate Country Pork Ribs – Combine Char Siu Seasoning Mix, soy sauce, honey, water, and crushed black pepper in a large bowl and whisk until seasoning mix dissolves. 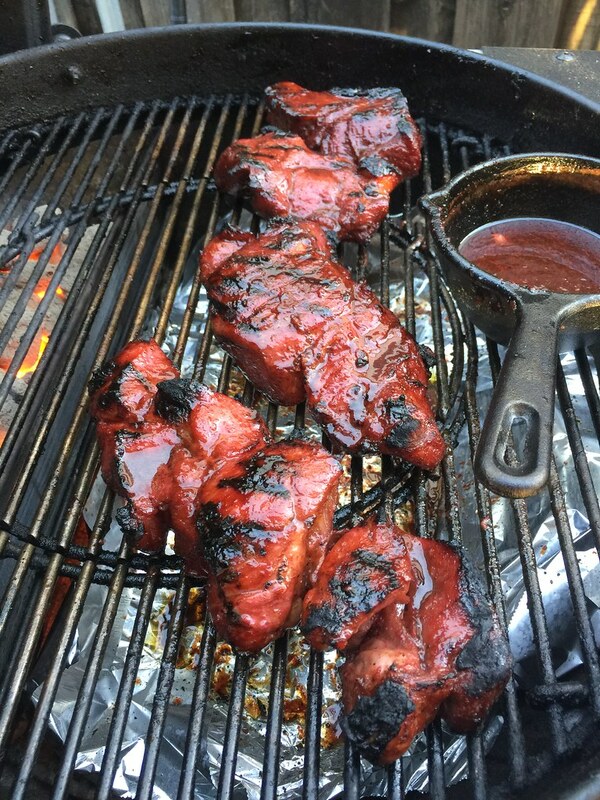 Add country pork ribs and garlic and mix well and massage meat with your hands. Allow pork to marinate for at least 2 hours, preferably overnight. BBQ Pork – Setup the grill for two zone cooking. Preheat the indirect side of the grill to 350-375 degrees. Cook pork over the indirect side of the grill until internal temperature of the pork reaches 160 degrees. Brush pork with honey. With thongs, transfer pork over direct heat and sear pork until crispy, caramelized and a bit charred. Serve Pork – Allow pork to rest for 15 minutes before slicing so juices can redistribute. Slice pork to desired thickness you like and serve with your favorite accompaniments. Brushing pork with honey before searing helps with the caramelization process and gives pork great color and texture. If you don’t have a grill, roast in oven at 375 degrees until internal temperature reaches 165 degrees.